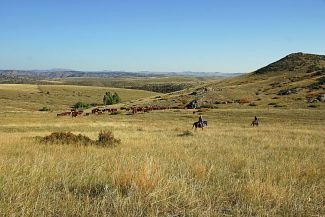 The Colorado Hereford Tour encompassed various conditions in Colorado, showcasing the breed's ability to thrive. 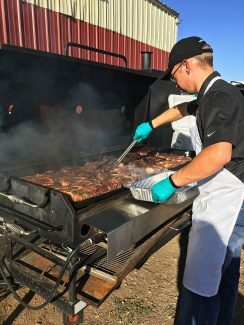 Saturday night's dinner at Ernst Hereford north of Greeley featured steaks and included about 130 producers and Hereford enthusiasts. 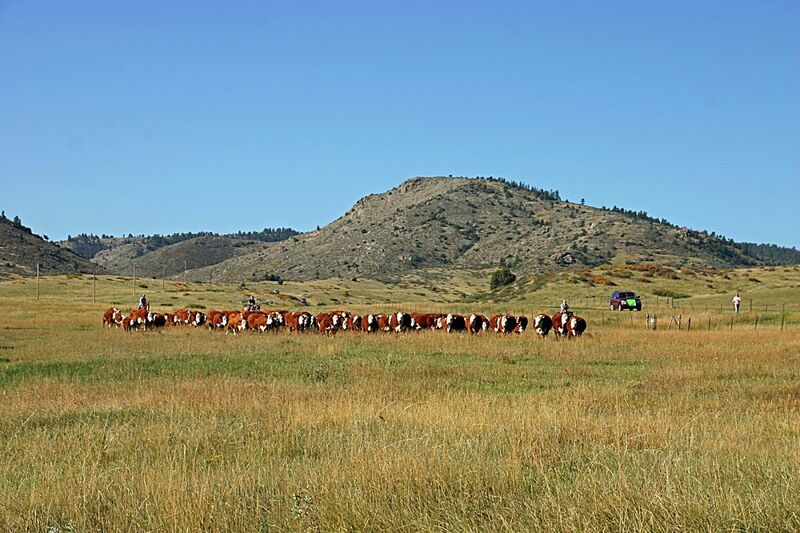 From a high-altitude summer pasture to the more controlled environment at Colorado State University, the inaugural Colorado Hereford Tour showcased the versatility of the breed in Colorado's varying environments. Attracting over 100 attendees from 10 states and Canada, tour organizers Marshall and Barbara Ernst said the tour was a success. 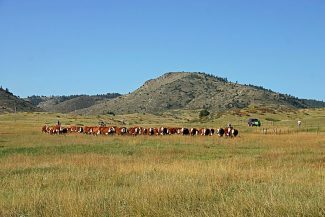 The tour began Sept. 15 at Ernst Hereford's summer pasture near Livermore, Colo., and then moved to Fort Collins to view the Colorado State University Hereford herd, moved to Carr to Sidwell Herefords, and then to Ernst's headquarters north of Greeley. 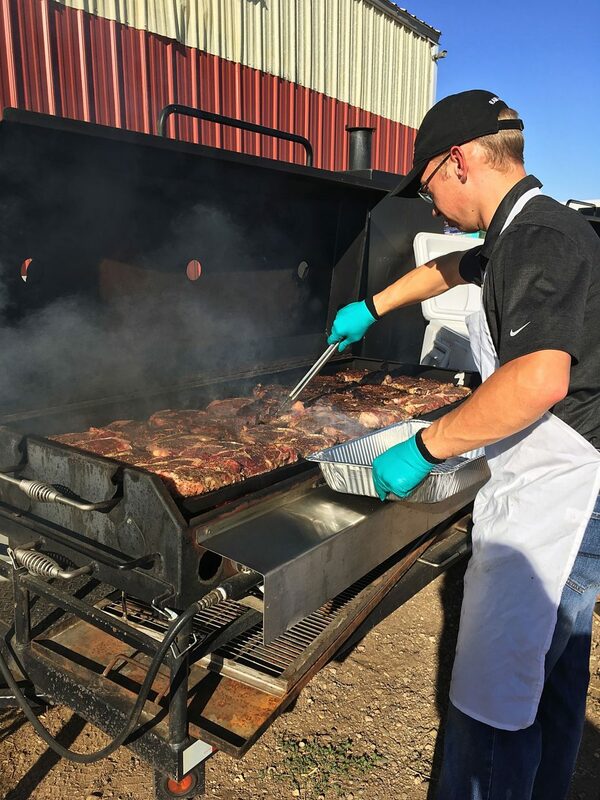 The tour Sept. 16 began at the SLW Ranch in Greeley, moved to the Five Rivers Kuner Feedyard near Kersey, Colo., and ended at Coyote Ridge Herefords in La Salle, Colo. The majority of the attendees, Marshall Ernst said, were from Nebraska, the Dakotas and Kansas. "For them to be able to start out and see our summer pasture at about 7,500 or 8,500 feet, the dry conditions we're in and then go to CSU where they have irrigated pastures and a more controlled environment, and then Sidwells where it's pretty dry up there," he said. "To see the variety of ranches and how adaptable Hereford cattle are to the different conditions was pretty interesting for most of the folks." Shane Bedwell, COO of the American Hereford Association joined the tour and was able to provide updates from the office. 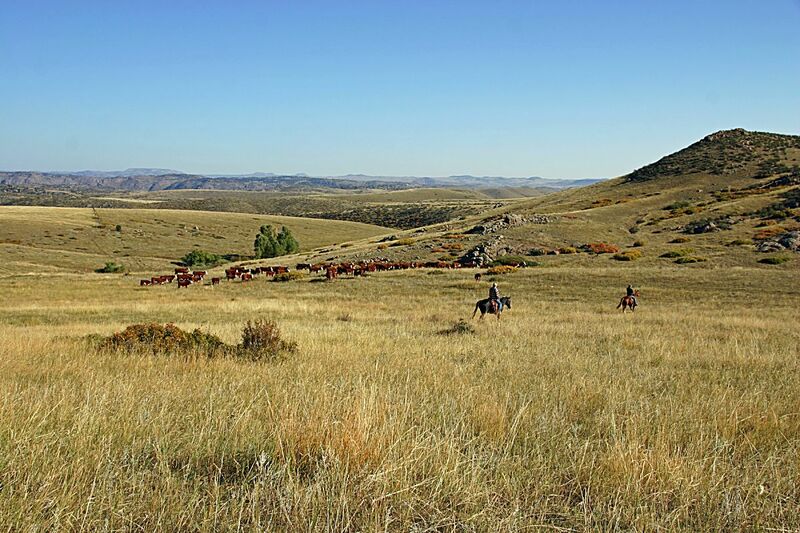 The AHA is working to improve the accuracy of EPD data and one way is to provide weekly updates online, ensuring the most current data is available to producers. "It was a great tour," Bedwell said. "A great display of Hereford cattle working, and I was impressed. 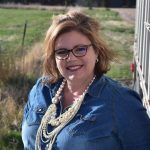 It was a pleasure to see Hereford genetics thriving in Colorado's diverse environment, it speaks to the different cattle those folks are raising and the strength of the breed." Bedwell said the AHA rolled out an updated genetic evaluation last December that he said better incorporates the genetic component into the EPDs. Sustained Cow Fertility and Dry Matter Intake were also added to the existing suite of traits, both of which hold significant economic importance for producers. 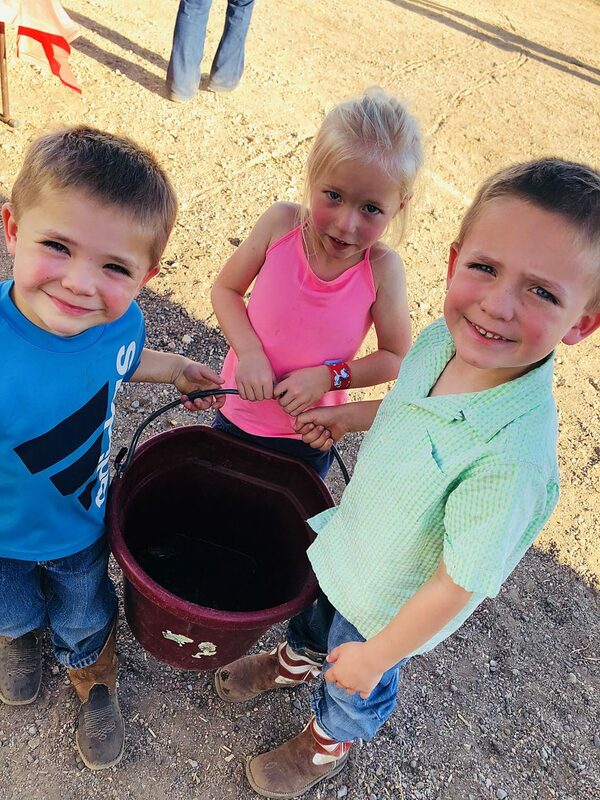 The Dry Matter Intake number is built into the AHA's indexes, antagonistically built in with growth, average daily gain, and carcass weight to identify cattle that rank high in these indexes that can best convert feed for maximum efficiency. The tour made a stop at the Five Rivers Kuner Feedyard, a modern yard near Kersey with a 98,000 head capacity. Bedwell said the technology and progressiveness of the crew at the Kuner lot is impressive and the opportunity for producers to interact with the feeding sector was positive. 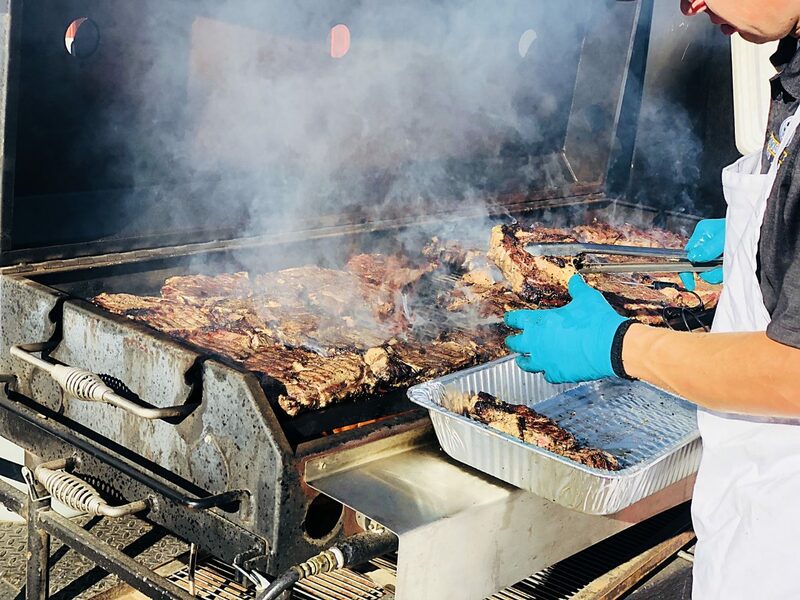 "For purebred breeders to get a chance to see the variety of cattle that go in there and how controlled the feedyard has to be in this day and age to comply with all the regulations was eye opening, I think," Ernst said. AHA Board Director Bruce Thomas, Montana, and current Vice President Pete Atkins, from South Dakota, were both on the tour. Atkins will assume the presidency of the association following the annual meeting October 26-28 in Kansas City, Mo. Lance and Sheri Leachman from Big Gulley Ranch also made the trip to join the tour, a two-day drive from Canada. 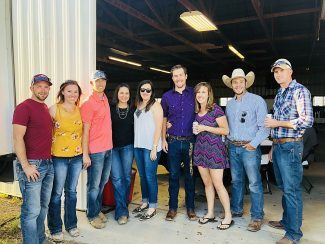 Ben Fritz with Zoetis Animal Health, Paul Hill with Purina, and John Scanga with Boehringer Ingleheim all helped sponsor the event, including a steak dinner.